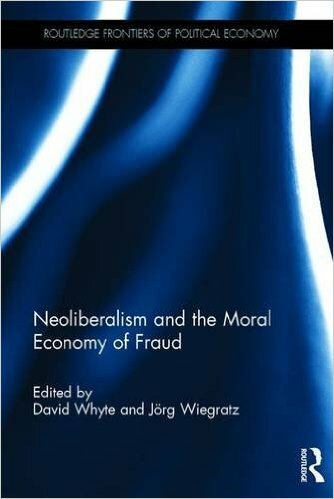 In Neoliberalism and the Moral Economy of Fraud, (Routledge, 2016) David Whyte and Jörg Wiegratz offer an edited collection exploring how neoliberalism has enabled the proliferation of systemic fraud across different geographical and social settings. This book plays a vital role in increasing understanding of unethical behaviour, helping us to address the beliefs and rituals that otherwise perpetuate fraudulent culture, finds Atul K. Shah in this review posted on the London School of Economics Review of Books blog. Corporate fraud has become normalised in modern society – including allegations against Volkswagen, one of the top global brands in motoring, HSBC in global banking and Rolls Royce in aerospace: the list goes on. The rot at the top of the finance industry, a key sector in modern business enterprise, has ceased to abate, even after the 2008 crash. The entire offshore industry and the trillions of dollars which flow through it have made it a fraud beehive. The finance academy largely avoids looking at it microscopically. The book introduces the reader to radical literatures questioning the depth of neo-liberal hubris in the agenda and actions of modern institutions, including regulators. Just as we fight our local causes, it reminds us to understand the larger forces which shape our language, systems, education and public services – fraud is an ideology that has become a cancer in modernity. To escape it, we must address its corrupt beliefs, stories, customs and rituals. Otherwise, we will stay on an island firefighting or perpetuating fraudulent culture.